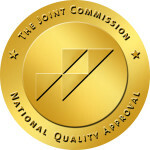 Elite Care 24 Hour Emergency Room has earned The Joint Commission’s Gold Seal of Approval® for accreditation by demonstrating compliance with The Joint Commission’s national standards for health care quality and safety in ambulatory care facilities. The accreditation award recognizes Elite Care 24 Hour Emergency Room’s dedication to continuous compliance with The Joint Commission’s state-of-the-art standards. Elite Care 24 Hour Emergency Room underwent rigorous on-site surveys in July, 2014. A team of Joint Commission expert surveyors evaluated Elite Care 24 Hour Emergency Rooms for compliance with standards of care specific to the needs of patients, including infection prevention and control, leadership and medication management. “Elite Care employees were successful in preparations for the survey and in developing improvements to meet the Commission’s state-of-the-art standards on a continuous basis,” said Elite Care 24 Hour Emergency Room’s Associate VP of Operations, Tracey Garman, who serves as the Elite Care’s accreditation liaison.